Following months of rumors, denials and the naming of possible replacements, Kering announce Friday morning that Hedi Slimane is leaving his role as the creative director of Saint Laurent, a post he&apos;s held since 2012. The past few days have played out to be a "goodbye tour" of sorts over social media: the house released one photography campaign after another, featuring Jane Birkin, Cara Delevingne and black-and-white images of the Paris couture-esque collection that proved to be his last. "I am very grateful to Hedi Slimane, and the whole Yves Saint Laurent team, for having set the path that the house has successfully embraced, and which will grant longevity to this legendary brand,” said François-Henri Pinault, Chairman and CEO of Kering in a statement. In the press release, Kering described the announcement as "the end of a four-year mission, which has led to the complete repositioning of the brand," also calling that repositioning "an undisputed success." Indeed, Slimane completely rebranded Saint Laurent, not only by famously dropping the "Yves" from its name, but also by redesigning each of its stores, moving the creative studio to Los Angeles, remodeling the label&apos;s couture atelier in Paris and turning out collections with a youthful, grunge-y and rock n&apos; roll-inspired aesthetic. While the results polarized critics, shoppers were fervently on board, and Saint Laurent&apos;s sales continually grew with revenues booming — especially on the accessories front. There&apos;s no official word on who will replace Slimane — though both the Internet and top industry insiders seem to be set on Anthony Vaccarello — or where the designer will land (if anywhere), but the ever-turning rumor mill suggests that he could be next in line to head up Chanel, as he&apos;s very close with Karl Lagerfeld. (The very rare pre-spring V magazine cover story featuring portraits of the designers shot by one another only served to perpetuate this.) You can bet that we&apos;ll be watching closely as this round of designer musical chairs rages on, so stay tuned for more. This post was updated to include a statement from Kering. 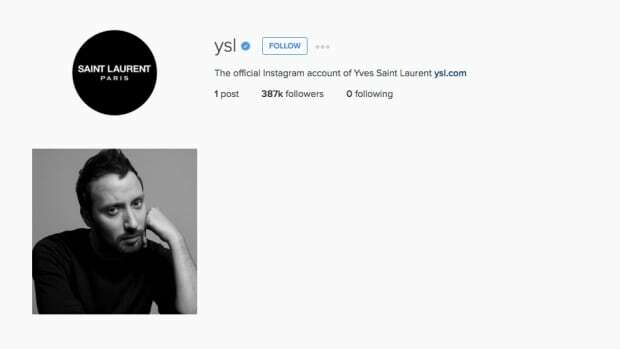 The brand completely wiped its Instagram history on Wednesday. 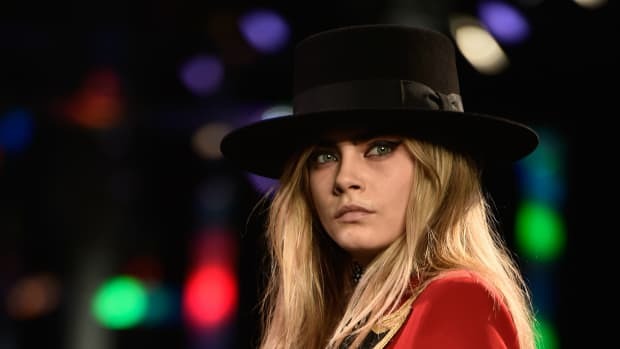 Now That Hedi Slimane Brought His Aesthetic to Celine, What's Next for Saint Laurent? How much longer will Anthony Vaccarello be able to follow the blueprint his predecessor laid out before customers seek out the original? From neck scarves to "grunge tiaras" to duffle bags, these items won't soon be forgotten.